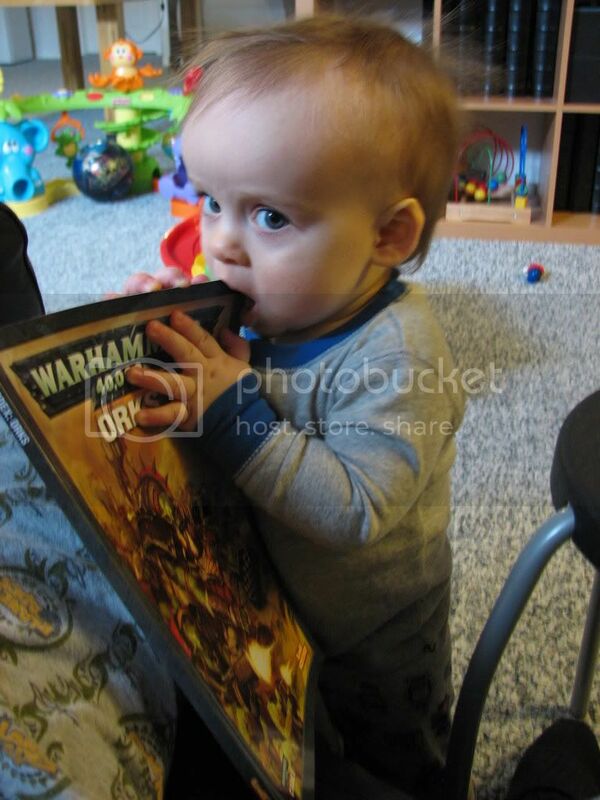 Lost In The Warp: GOOD CHOICE SON! Orks were my very first 40K army WAAAY back in the day. It is nice to see some things carry on to the next generation! Still my best miniature ever and he just keeps getting better!